Sexual harassment occurs when a person is on the receiving end of inappropriate sexual comments, gestures or advances. This kind of behavior can create a hostile and uncomfortable environment for those involved. Unfortunately, sexual harassment happens in many places on a daily basis. Between private households, schools, churches and the workplace, sexual harassment is not only prohibited by federal law, but it is morally wrong and causes a great deal of fear and anxiety in victims who are placed in a hostile environment where they do not feel safe and secure. Whether you are a victim or an intervening bystander, call the veteran lawyers at The Ansara Law Firm for quality legal representation in any sexual harassment case. What is considered to be sexual harassment? There are two main kinds of sexual harassment as defined by the State. The first is called Quid Pro Qou harassment. The phrase, translated from Latin, means “something for something.” This describes a scenario in which involves trading sexual favors for benefits at work, such as a promotion, a raise, continued employment, or other employment benefits. On the flip side, employers or supervisors can take adverse action such as a salary reduction against the employee in the event that they refuse to partake in sexual activity for work benefits. These kinds of situations are scary and dangerous for employees. This is basically forced prostitution, as employers who are guilty of creating Quid Pro Qou situations place victims in a position in which they have to choose between giving or receiving sexual favors or facing consequences at work such as a salary reduction or potentially losing their job. Lost wages: Any wages the victim can claim to have lost as a result of sexual harassment can be recovered in court. Medical expenses: Victims can recover any medical expenses related to the harassment, such as psychiatric counseling. Pain and suffering: Victims are entitled to collect damages for any pain and suffering that resulted from the harassment. Loss of consortium: If the harassment had any impact on the victim’s marital relationship (ex: victim’s partner suspected an affair rather than harassment and divorced the victim as a result) then the victim can collect damages that would be deemed equitable to what was lost in their relationship. Punitive damages: If the harasser’s behavior was extraordinarily egregious, then the defense might seek punitive damages as a way to punish the wrongdoer and discourage the continuance of this behavior. Reinstatement: If a victim’s employment was terminated or downgraded as a result of refusal to engage in sexual activity with a supervisor or employer, then a judge can order that the company reinstate the victim to their original position. When supervisors threaten to impede a victim’s propensity to earn a living, speaking out against sexual harassment in the workplace can be very difficult. The worst mistake a victim can make is remaining silent and continuing to be made to feel unsafe at work. Call the aggressive and experienced attorneys at The Ansara Law Firm today if you feel as though you are being sexually harassed at work. Our unique methods and exemplary track record speak for themselves. The law is on your side, and our attorneys will fight vehemently on your behalf to ensure that justice is served to those who sexually threaten or harass you. 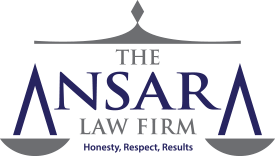 If you or a loved one were recently involved in any kind of sexual harassment, call The Ansara Law Firm at (954) 761-4011 immediately to seek compensation for any damages incurred as a result.